This is a 3 part presentation: the first part introduces the concept of the Author Platform, the second part talks about the author website, and the third and last part talks about the social aspects of the author platform including the ongoing, long term creation of the author platform. And here’s the video for the first part of the intro presentation which explains the basic notion of the Author Platform. More videos coming soon and will be available in the members area. I developed the course, Start an Author Platform that Sparkles, to help writers start an Author Platform that’s right for them, their readers, and their writing. 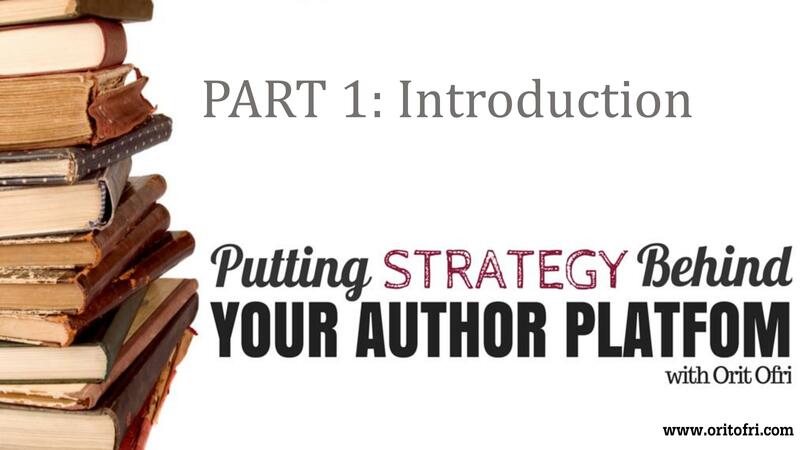 The focus is on figuring out who you are as a writer, who your readers are, and developing a strategy for building an author platform that works along your writing career. It’s an 8 week online course that includes videos, worksheets, a members area, Q&A sessions, and more. The class will be offered again in 2019. The best way to learn about the next opening of the course (and other training opportunities) is to join my mailing list or become a member of this site. If you have specific questions you are always welcome to contact me. Current/Past members: please login to access your content.